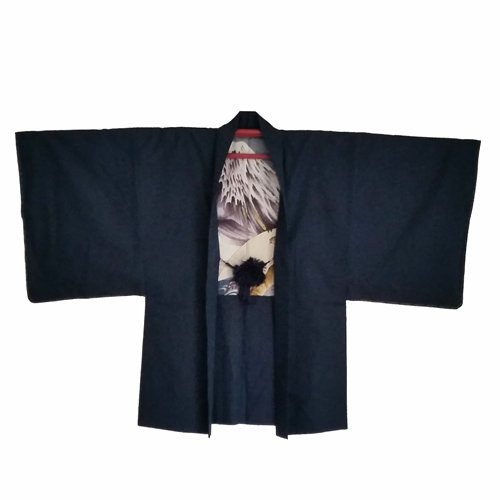 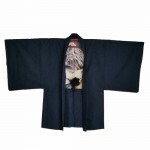 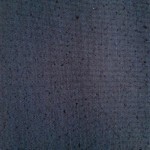 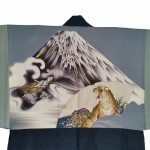 Wonderfull silk vintage haori for men. 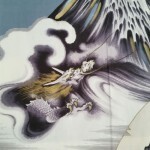 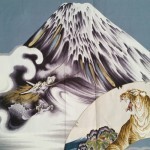 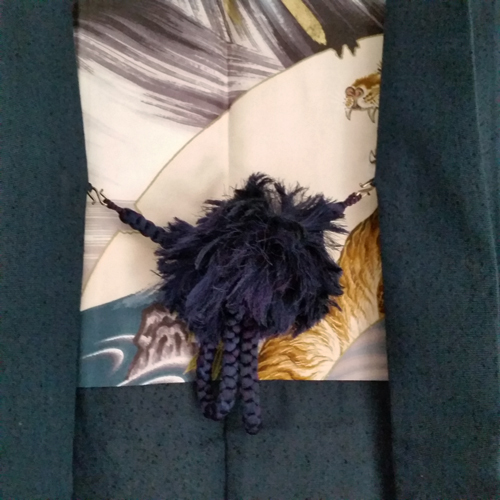 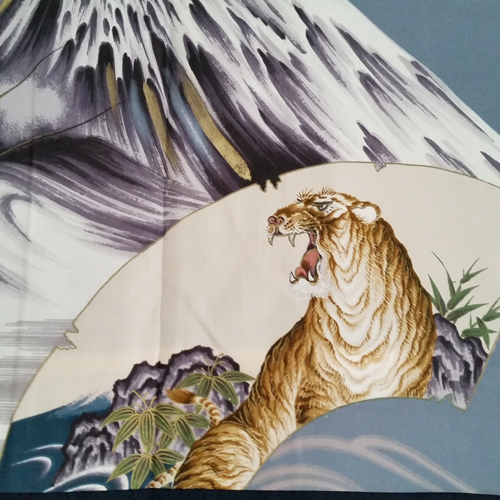 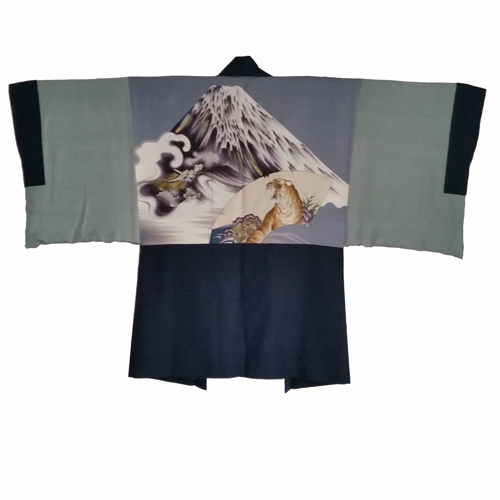 Blue silk haori with beautiful lining: handpainted Fujisan Mount Fuji with a dragon and a fan with sasa bamboo and a tiger. 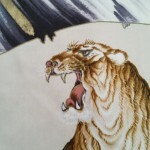 Finished with gold paint. 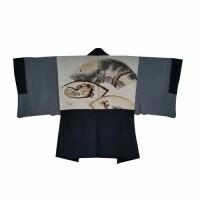 It has silk men himo. 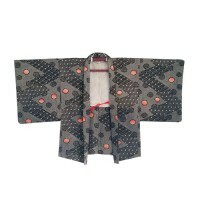 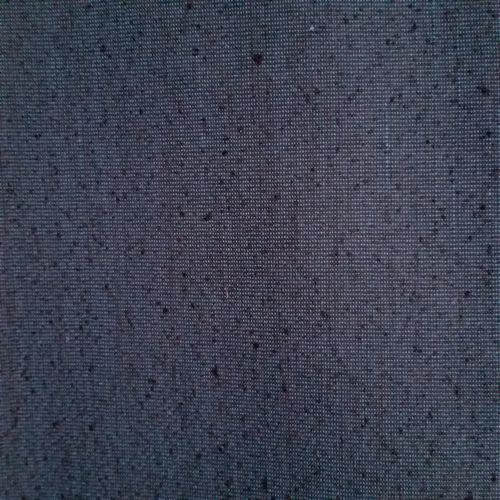 Dimensions: 86 cm long and 136 cm from shoulder to shoulder.